February 3, 1930 to May 15, 2018: Bill was honored by the St Paul Rodeo, the St Paul Fire Dept., the Newberg Rotary Club, and OSU. Martin William "Bill" Dolan was born in The Dalles, OR to Martin William Dolan Sr. and Alice Hibberd Dolan on February 3, 1930 and died May 15, 2018 surrounded by his family. Bill attended St. Mary's Academy, Gonzaga University, and graduated from Oregon State University in Agricultural Engineering in 1953. He was drafted into the Army and served in Korea at the end of the Korean War. Following his service Bill started a career with RM Wade in Portland designing and selling irrigation systems. From there he became a successful owner of Ernst Hardware in St. Paul, OR until he retired in 2000. Bill joined the St. Paul Rodeo Association in 1966; was a SPR Director and its President from 2001-03. 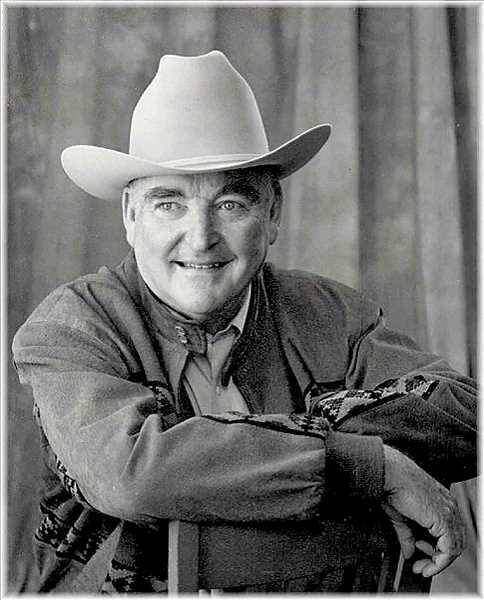 He served on the SPR Foundation Board and was inducted into the St. Paul Rodeo Hall of Fame in 2013. He dedicated 25 years to the St. Paul Fire Department as a fireman and board member. Bill was honored as the Grand Marshall of the 2016 St. Paul Rodeo Fourth of July Parade. Bill was a member of the Newberg Community Hospital Board; the Newberg Noon Rotary Club and was its President in 1997. The Club honored him by establishing an annual Bill Dolan Rotary Scholarship for a St. Paul High School student. At Oregon State University Bill served on the Board of Directors of the E. R. Jackman Foundation and he established the Dolan Family Agricultural Ambassador Scholarship Fund. The College of Agricultural Science has honored him as a Diamond Pioneer, but his greatest joy was to watch OSU sporting events and tailgating there with family and friends. Bill married Joyce Judd in 1956 and together they had four children. The marriage ended in 1988 and in 2002 Bill married Ann Swenson Lindauer Pesola. Bill is survived by his wife, Ann; children, Timothy and his wife, Cory, Michael and his partner, Robin, Jill Dolan Kenagy and her husband, Jon, Patrick and his wife, Michelle; step-children, Susan Lindauer, Kevin Pesola, Kym Pesola; nine grandchildren, Jessica, Sara, Kaitlyn, Shane, Ashley, Shannon, Will, Sam, Annabelle; eight step-grandchildren, Sara, Nathan, Josh, Garrett, Kirk, Erik, Sheena, Kendra; and one great-granddaughter, Iris. A Mass will be held at 11 am, Friday, May 25, 2018, at St. Paul Catholic Church, 20217 Christie St., St. Paul, with a Celebration of Life reception to follow. Memorial donations can be made to the St. Paul Rodeo Foundation and mailed to PO Box 175, St. Paul, OR 97137 or to the St. Paul Fire Department Ambulance Fund: PO Box 1, St. Paul, OR 97137.